Escape To The Lake 2018 (JULY 19-21) - Registration Now Open! Escape To The Lake 2018 is coming July 19-21 to Cedar Lake, IN. It's UTR Media's flagship event and a one-of-a-kind retreat bringing music makers and music lovers together to be spiritually, emotionally, & musically refreshed. It is an amazing time of friendship, food, laughter, learning... and of course gourmet music. We are looking forward to live music & sessions with Andrew Osenga, Christa Wells, Zach Pietrini Band, Jess Ray, Nick Flora, Royce Lovett, Caroline Cobb, Brothers McClurg, Wild Harbors, Taylor Leonhardt, The Mosleys, Matthew Clark, Adam Whipple, Rick Lee James, and more. We also will host the 4th annual ETTL Songwriters' Bootcamp on July 18-19. We are thrilled that our coaching panel this year will be Christa Wells, Matthew Clark, Jess Ray, Caroline Cobb, Nick Flora, & Taylor Leonhardt! And ALL are welcome for this optional add-on experience... including those who don't write songs but just want to ease drop on the creative process and soak in the amazing conversations. Plus we are going to have a special off-site "Epic In The Round" concert on a beautiful outdoor deck on July 18. There is still room for last-minute signups. The adult registration for ETTL is $249, and the optional Bootcamp add-on is only $129 (Bootcamp can also be purchased ala carte). We also have evening concert tickets for July 19-20 now available for $30 (only $18 in advance using promo code "campfire"). Lodging is not included in the price, but all meals are included (it's still a remarkable deal). Click on the REGISTER tab for more info about rates and to sign up. 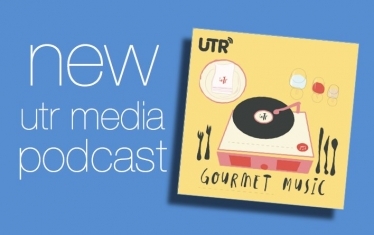 UTR Media aims to help you "rediscover your soul-connection to music." We curate some of the most artistic, thoughtful, and well-crafted music being made today, through video features, audio podcasts, blog articles, album downloads, and special events. Faith Church is a multi-site congregation with the mission of "restoring the world, one relationship at a time." We have worked with them in the past, and are excited to partner for ETTL 2018. The brand new facility in Cedar Lake, IN (opened in 2016) will be our home for the event!